machine vision technology comes in. • Online vision inspection of position of the product like orientation in degree. • Inspecting of the surfaces of bathtubs for scratch. • Checking whether airbags have been properly installed into cars. • Applying adhesives evenly and correctly. • Verify that welds are strong enough. • Checking paper in the production process for flaws. • Making sure that syringe are manufactured properly. • Finding irregularity on flat glass. • Guiding robots so that they can adapt to changes in their environment. • Reading license plates of cars. • Recognizing and identifying persons. • Reading addresses on parcels and checking their dimensions. from the manufacturing process. In many cases the removed part can be re-introduced into the production process. This saves materials. Defective parts never continue on to following manufacturing stages and therefore incur no further costs. At the same time the system may become ‘self learning' in that it recognize recurrent defects. 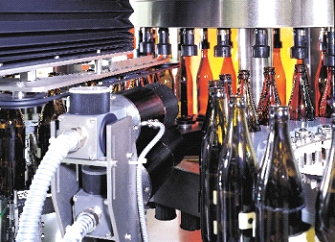 Machine vision technology is unique in its ability to resolve the trade-off between raising quality and cutting costs. 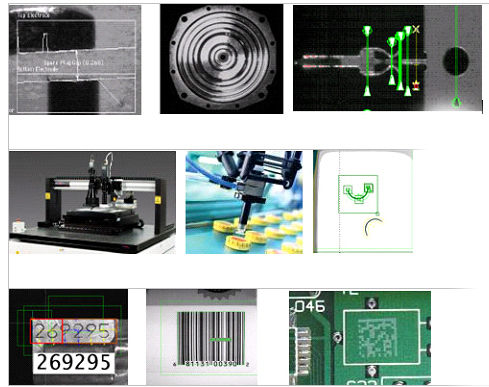 Examples abound in which machine vision does both jobs at a time.